The decorations and Christmas trees sprouting up all over the place are a dead giveaway that December 25 is just around the corner. Just over six weeks, in fact (how on earth did that happen?). But don’t let that thought freak you out – we at Babyology have put our heads together to bring you our best tips and tricks to save you time and money. Make a list, check it twice – and stick to it. Look out for the products you want to buy in different stores, compare prices and grab them when they’re on special. Plan it out – work out how many presents you need to buy and then get a few each week so you don’t have a daunting last-minute task in the few days before Christmas. Write a present list for your children so you are prepared when someone asks what they want or need. Given them ideas from the list, so you know those things are going to be covered rather than receiving things they don’t want or need. Shopping online takes the stress and uncertainty out of finding gifts (and gets you out of wasting hours trying to park at your local shopping centre!). It’s quick, open all hours and you’ll often find products cheaper than in physical stores. One-stop shops are an easy way to save time, and money, on shipping costs (or even better, use sites with free delivery). Try sites such as Hard to Find, Made It or Etsy for unique gifts. One catch though – you probably have until about the first week of December, at the latest, to get your orders in leaving plenty of time for delivery. So be organised if you’re taking this approach! You know all those loyalty points you’ve been accruing? Now’s the time to cash them in. Got 50,000 Frequent Flyer points? That’ll buy a present or three. Or convert them into shopping gift cards to pay for your Christmas party or dinner. 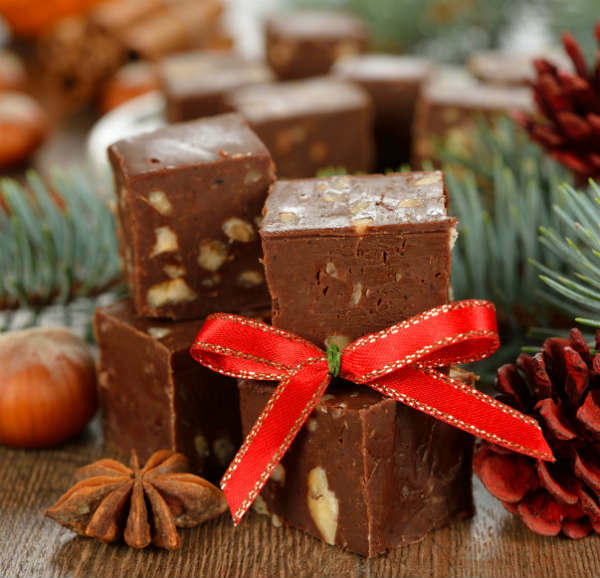 Make what you can – give gift hampers of home-made shortbread, cookies, rumballs, gingerbread, fudge, flavoured oil, soap and the like. Get the kids to help you – they’ll love contributing. Check Pinterest for DIY ideas, or our post on edible Christmas gifts to make for the neighbours, teachers, sports coaches, ballet teachers and the rest. Pop them into a pretty box or wrap them in paper with ribbon or twine. Scour classifieds websites, local buy-and-sell Facebook pages and local noticeboards, – you can often buy brand new gear very cheap. Hit the shopping outlets for designer goods at bargain prices. Think outside the square. An experience gift can be a unique present your gift recipient will remember forever. A hot air balloon ride, race car drive, family outing or night away, magazine subscription, a charity sponsorship – the possibilities are endless. Consider a Kris Kringle system for grown-ups, where everyone just buys for one other person. 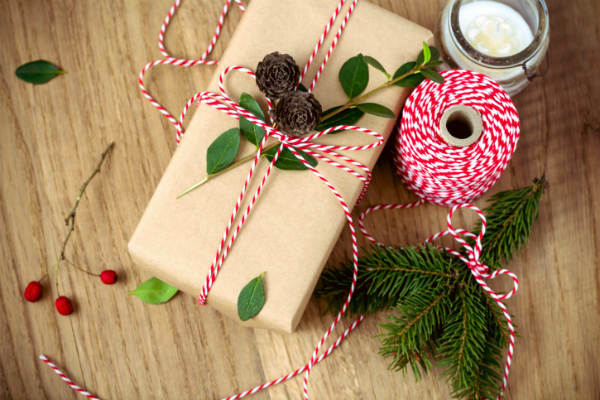 Buy wrapping paper and cards from markets – they’re often much cheaper. Or even better, put the kids’ artwork and skills to good use. All those kinder and childcare paintings and drawings can be used to make fabulous festive wrapping paper that is sure to melt hearts. Grab a stack of cheap butcher paper from a craft shop or by the roll at Ikea, carve a Christmas tree or candy cane from a potato and put the kids to work. Don’t wait until Christmas Eve to wrap presents. Kids are often too excited to sleep and you’ll be up all night waiting for them to drop off, then panic when you hear the slightest sound. Send them to a willing relative/friend for a sleepover or out for the day a week before Christmas instead. Don’t bother with expensive decorations while your kids are small. 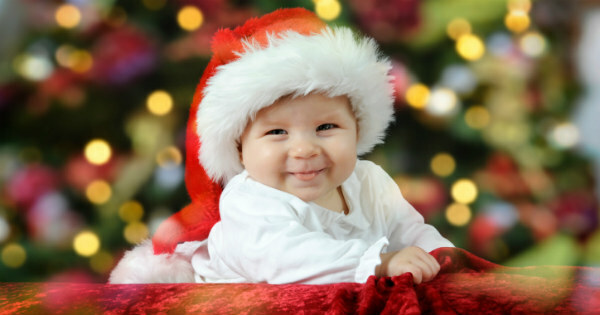 Christmas trees are baby and toddler magnets and you don’t want to worry about tiny mitts grabbing fragile, hand-blown glass baubles. Ditto for children who are big enough to help decorate the tree. No matter how careful they’ll try to be, those pricey decorations will break. Stick with cheap fabric or plastic decorations for now. Make your own decorations. Buy some coloured paper and glue and ask the kids to make paper chains for the tree. They can draw, colour and cut out angels, baubles, Santas and all other manner of Christmas shapes too. Cotton wool balls for fake snow are always fun. Disused rattles and small toys can also make cute Christmas decorations. Most store-bought Christmas crackers are ordinary. Save paper cardboard rolls and make your own, or buy DIY Christmas cracker kits from art stores such as Riot. Fill with chocolates or little trinkets from $2 shops that you know the kids will like. Print off jokes from the internet too and stuff them inside. Get your guests to pitch in to your Christmas lunch or dinner – ask them to bring a plate or to contribute money or a supermarket gift card. Same goes for workload – arm everyone with a task on the day. Eat out. We think this one fits neatly into the categories of time, relationship and sanity saver. Why stress over Christmas lunch or dinner, when the whole family can sit down and let someone else do the worrying. Buy a few extra non-perishable items with each week’s grocery shop, especially if you find them on special – soft drink, nibbles, sweets and the like. If you can’t face the Christmas crowds six weeks from now, get your shopping delivered by one of the major supermarkets, or find local fruit and veg and/or meat suppliers to bring your food to you.